Attending Proclaim 19? Download the Official Convention App! - NRB.org NRB :: Attending Proclaim 19? Download the Official Convention App! HOME > NEWSROOM > ARTICLES > NRB TODAY ARTICLES > Attending Proclaim 19? Download the Official Convention App! 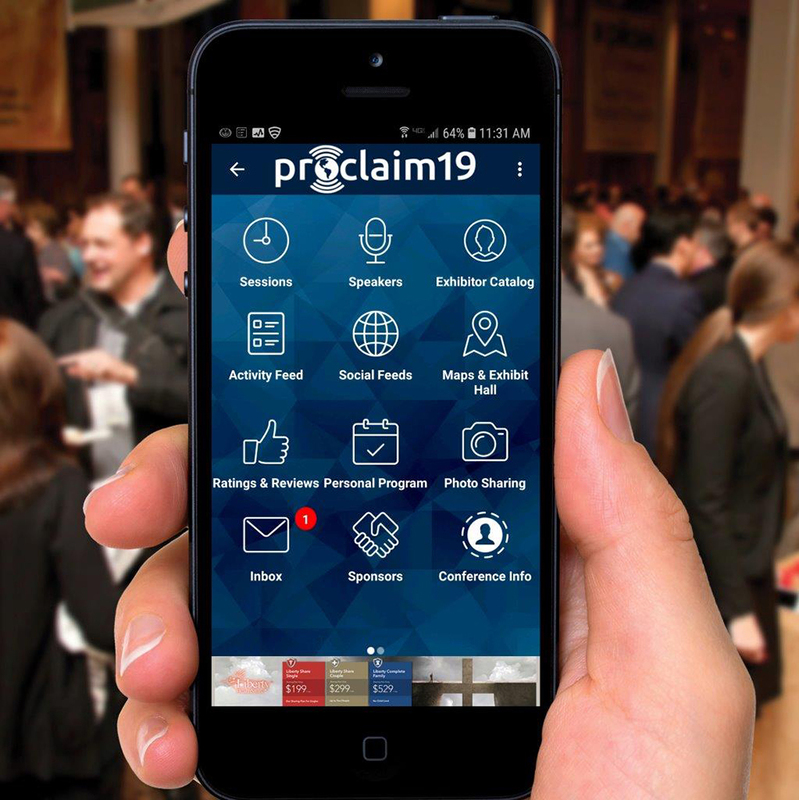 With thousands of attendees, more than 100 speakers, dozens of sessions, and around 200 exhibitors, Proclaim 19 has a lot to offer. Thankfully, NRB has an app for the Convention that will help attendees navigate it all with ease. Registered Convention attendees are encouraged to download the NRB Proclaim app from the App Store or Google Play (depending on their device; click here or visit nrbconvention.org/app for the appropriate links). Once downloaded to their devices, attendees will be able to browse speakers and exhibitors, view what sessions are going on where, and get the latest Convention-related news and updates. Not yet registered? It’s not too late. Click here to register. Proclaim 19 is just days away now! Excited yet? Get ready to join us in Anaheim to be inspired, equipped, and empowered to make a greater impact in the world for Jesus Christ!